Hatsune Miku RETURNS to the US this Summer! Saturday, July 14 at 8:00 p.m.
You may ask – What is Hatsune Miku? Hatsune Miku is a Japanese music sensation, a 16-year-old blue-haired girl with a unique voice and prodigious energy. What makes her special is that she is not a human singer, but a virtual persona who uses a computer-generated voice and 3D graphics to perform on stage. With a repertoire entirely provided by individual creators, she is the first truly crowd-created virtual talent. But being virtual doesn’t stop her from filling up concert halls or teaming up with major artists like Lady Gaga and Pharrell Williams! Internationally popular with more than 2.5 million followers on Facebook worldwide, the increasing demand for concerts overseas paved the way to MIKU EXPO, a tour that has so far taken Hatsune Miku to Indonesia, the United States, China, Japan, Mexico, Taiwan, and Malaysia. 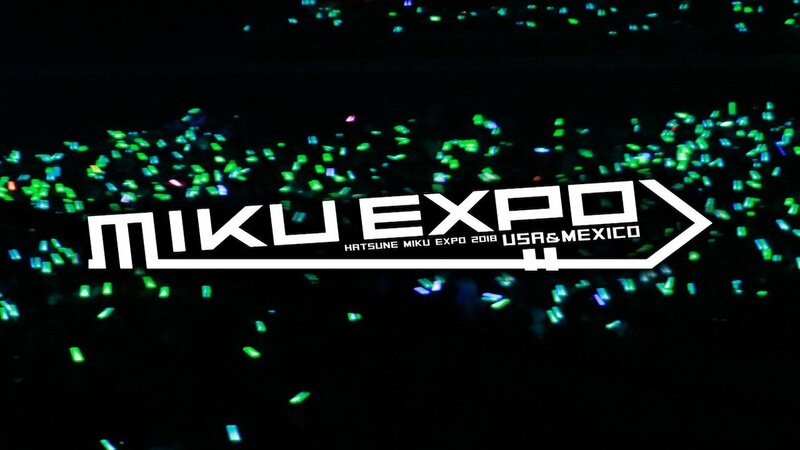 In 2018 Miku returns once again to the US and Mexico for another round of concerts! For more information, please visit the Hatsune Miku Expo website, and to purchase tickets, please visit Live Nation’s website.